Just as there will never be another musician like Charles Mingus or John Coltrane, never again will there ever be another musician like Albert Ayler. The tenor saxophonist made music as if it emerged involuntarily from a vortex deep inside his soul that was tortured by war and conflict, the struggle for civil rights and cold-war paranoia; yet this music that felt like a veritable insurrection emerged as the blues, whole; unexpurgated; old yet completely new, generating great gushes of music that stormed the bastions of the human spirit forcing it to take sides. Invariably this ended up being Mr. Ayler’s side. There was a very good reason for this. Beneath the music of tortured wails and the monstrous grumbles snaking out from the bell of his horn was sadness; a deep melancholia that emerged as a questioning voice that often begged the question: when will this end; and beneath even that was the voice of Mr. Ayler’s guardian angel, that enabled him to make those incredible honk and delighted shrieks interspersed with the grumbles and wails and those notes showed how he had become as ecstatic as anyone who through deep soul-searching in his playing, had come face to face with the Divine. 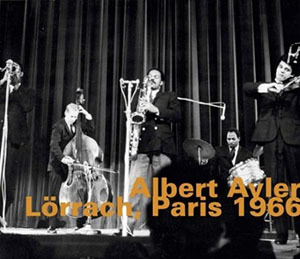 Albert Ayler toured Europe in 1966. Hat Hut followed him to Stockholm and Berlin; then to Lörrach and Paris, recording his prophetic voice. The result is two fine CDs: Stockholm, Berlin 1966 and Lörrach, Paris, 1966. Mr. Ayler is beyond beautiful. His music is worships at the altar of originality. It is deep, prayerful and beyond musical; it is theological. It traverses the collective polyphony of New Orleans, wallows in the Mississippi Delta and roars with the freedom that Mr. Ayler had achieved long before he toured Europe, when Bernard Stollman first recorded him in the early sixties. His music is demanding and disturbing; beautiful and earth-shattering. It blazes through the rhythmic strategies of bebop, takes what it needs and then barks and thunders on the road to freedom. He plays many of the same music at various venues. Remarkably the basic structure—even the melodic content—remains the same, but his improvisations are fabulously new and awesome in the variations that he urged from his tenor saxophone. Naturally this affects the members of this group, which was by all accounts and purposes one of the most remarkable to ever accompany this genius. Listening to Mr. Ayler’s brother, Donald, for instance, on “The Truth IS Marching In” it becomes immediately clear that the trumpeter is absorbed by the music of the tenor saxophonist and brings to life—with him—visions of the ghosts of New Orleans marching heroes such as Buddy Bolden as well as the music of ecstasy that became real when John Coltrane and Mr. Ayler, himself became ordained by the living light. The screaming violin of Michael Samson is equally affected by the tenor saxophonist as sails into the proverbial infinite realm along with bassist William Folwell, whose playing con arco is as mighty as his frenzied pizzicato. And Beaver Harris is stupendous as he keeps an open pulse almost as if he were inviting the saxophonist and his trumpeter brother to jump in and roar and wail contrapuntally. The same intensity can be felt on the music from the Lörrach and Paris legs of his tour. Each chart is a priceless gem mined with multi-faceted ingenuity by Mr. Ayler and his brother Donald Ayler as well. This music has been released before, but like the classic music that it is, it is clear that it is here because it is hypnotic and memorable and is music for the infinite time and space that aficionados and cognoscenti and just plain fans of Albert Ayler exist in every era from here to infinity. Track List: Stockholm, Berlin, 1966: Truth Is Marching In; Omega (Is The Alpha); Our Prayer – Bells; Infinite Spirit – Japan; Truth Is Marching In; Omega (Is The Alpha); Our Prayer – Truth Is Marching In; Ghosts – Bells. Track List: Lörrach, Paris, 1966: Bells; Jesus; Our Prayer; Spirits; Holy Ghost; Ghost; Holy Family; Ghost II. Personnel: Albert Ayler: tenor saxophone; Donald Ayler: trumpet; Michael Samson: violin; William Folwell: double bass; Beaver Harris: drums. Albert Ayler was born in Cleveland, Ohio on 13th July, 1936. His father, Edward, encouraged an early interest in music and taught Albert to play the alto sax, and they performed as a duo in various local churches and community centres. Albert’s musical training continued at the John Adams High School where he also developed an interest in golf. In 1951, at the age of 15, Albert joined his first group, Lloyd Pearson and his Counts of Rhythm, which led to a job with Little Walter Jacobs. He spent the following two summer vacations on the road with the R&B band. In 1954, Albert graduated high school and went to a local college but in 1956, due to lack of money, he joined the army. His musical education continued, playing in the military band, which led to his first trip to Europe in 1959. He was stationed in Orléans, France with the 76th Adjutant General’s Army Band, but he was also developing his own style, playing with local musicians and sitting-in with unsuspecting jazz bands in Paris. Spirituals, rhythm and blues, jazz, and military brass band music, were all elements in Ayler’s eventual distinctive style, and they came together at a time when jazz was changing due to the ‘free jazz’ experiments of Ornette Coleman, Cecil Taylor and John Coltrane. During this first visit to Europe, Ayler also managed to visit Denmark and Sweden. After his discharge from the army in California in late 1961, Ayler returned home to Cleveland but he didn’t stay long. In early 1962, he returned to Europe, settling in Sweden. In the summer of ’62 he was a member of the Herbert Katz Quintet and played some dates in Helsinki, Finland, including a radio session which has survived. In October he made his first record, Something Different!!!! !, which had a limited release. In the same month he saw the Cecil Taylor group in Stockholm and asked if he could join them. 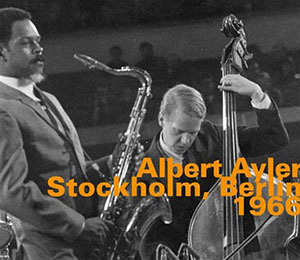 He travelled with Taylor to Denmark (recording a session for TV, of which only the audio survives) and made his official debut album, My Name Is Albert Ayler in January 1963, with a pick-up group of local musicians. During this period Albert also met Don Cherry, who was touring with Sonny Rollins. Ayler went back home to Cleveland in February 1963, then moved to New York where he played several dates with Cecil Taylor and also had a jam session with Ornette Coleman. On 14th January, 1964, Albert married Arlene Benton. In February 1964 there was a recording session organised in New York by the Danish label, Debut Records. This resulted in the Spirits LP (aka Witches and Devils), and the set of spirituals and other traditional material which was released posthumously. Albert then formed a trio with Gary Peacock on bass and Sunny Murray on drums. As well as a live LP (again released posthumously), this is the unit which produced the universally acknowledged classic jazz album, Spiritual Unity, which was recorded in July 1964 and released on the new ESP label. Albert`s second LP for ESP, New York Eye And Ear Control, was a free improvisation by a larger group, including Don Cherry, recorded as a soundtrack to a film by Michael Snow. With Cherry added to the trio, Ayler returned to Europe in September 1964, playing dates in Denmark, Sweden and the Netherlands. The band played several radio dates during the tour (released posthumously) and another album for Debut, Ghosts (aka Vibrations). Don Cherry decided to remain in Europe, so when Albert returned to New York, he asked his brother, Donald, to join his band on trumpet. Donald had played saxophone, but his understandable limitations on trumpet (especially when compared with Cherry) meant that the music had to change. The new style, with the addition of Charles Tyler on alto, was compared to a New Orleans marching band (or a “Salvation Army band on LSD”) and gave the regular jazz critics even more problems, wondering whether it was meant to be taken seriously or as a parody. When ESP released Bells, recorded live at New York’s Town Hall in May, 1965, as a one-sided, transparent disc, the name of Albert Ayler became even more notorious. Ayler’s ‘final’ ESP album (several others have been released posthumously) was Spirits Rejoice, recorded in September 1965. In November there was another record date, this time released under Sunny Murray’s name, on Leroi Jones’ (Amiri Baraka’s) Jihad label: Sonny’s Time Now. This included a performance of the overtly racist poem, ‘Black Art’, which caused some heated discussion in the pages of the UK magazine, Jazz Monthly. The circumstances surrounding this recording are a little vague, and it is Ayler’s only recorded connection with the ‘political wing’ of the free jazz movement – elsewhere, in interviews and in his own tune titles, he always seemed to favour the ‘spiritual’ aspect of the music, like his mentor, John Coltrane. The only recording of Ayler with Coltrane took place at the Lincoln Center, New York on 19th February, 1966 at the ‘Titans of the Tenor’ concert. Unfortunately this has never been released. Ayler continued to play with various line-ups in New York throughout 1965 and 1966, several including the cellist, Joel Freedman. In April 1966 Ayler went home to Cleveland for a booking at the La Cave club, where he met a young violinist from the Netherlands, Michel Samson, and invited him to join the group. Charles Tyler left the band and the addition of the classically-trained, European violinist to the tenor sax/trumpet frontline altered the sound yet again. The La Cave sessions (with Mutawef Shaheed on bass and Ronald Shannon Jackson on drums) were recorded and were included in the Holy Ghost box in 2004. One month later the band (with Lewis Worrell replacing Shaheed on bass) was recorded again at another club date in New York, which was posthumously released as Live at Slug’s Saloon. In November, Ayler was back in Europe, featured alongside Sonny Rollins and Max Roach as part of the ‘Newport Jazz Festival in Europe 1966’, promoted by George Wein. Albert and Don, Michel Samson, bassist Bill Folwell and drummer Beaver Harris, played concerts in Germany, the Netherlands, Sweden, Denmark, France and England. Several were broadcast on the radio or television (fragments of video have survived from Berlin and Bordeaux), but Ayler’s only appearance in the U.K., was deemed too distressing for the sensitive souls at the BBC and the programme was never broadcast and the tape was later wiped. On his return from Europe, Ayler embarked on his first major recording contract, since John Coltrane had finally persuaded Bob Thiele at Impulse Records to sign him to the label. Finally Albert was making real money from his music and in June 1967 his group appeared at the Newport Jazz Festival. On 17th July, John Coltrane died. 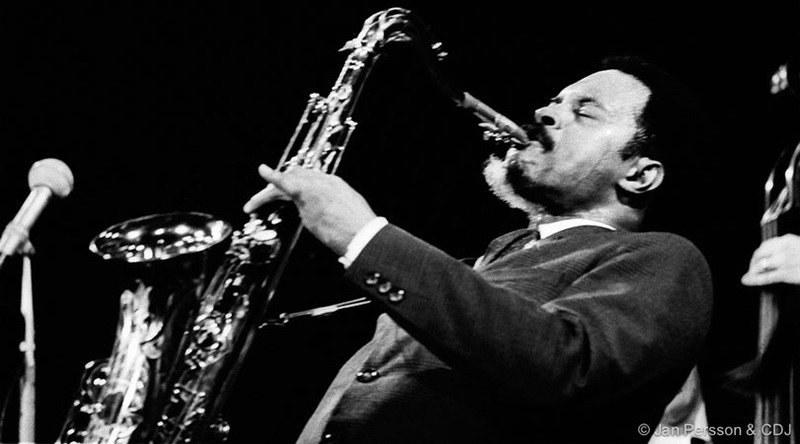 Albert Ayler was one of the two musicians asked to play at his funeral (the other was Ornette Coleman). Ayler’s first LP for Impulse was the concert recording, In Greenwich Village, which included the track ‘For John Coltrane’ recorded in February 1967. The second LP was a studio recording, Love Cry, the first side of which consisted of 6 short tracks, including ‘Bells’ and ‘Ghosts’ – an attempt, perhaps, to soften the impression that Ayler’s music was ‘difficult’. Free jazz was never a popular style, not even in the jazz world, and certainly not compared with rock, pop, soul, etc. And it was the sixties, the whole peace and love thing, the world did seem to be changing. So, it was understandable for Albert to want to tap into that and expand his audience. His next album was New Grass. Albert’s marriage to Arlene (with whom he’d had a daughter, Desiree) had failed around the beginning of 1966 and he had met Mary (Maria) Parks. For those who rejected Albert’s attempts to expand his audience (or sell-out) she was often cast as the villain. Others blamed Impulse for the sudden shift in style. One casualty was Don Ayler. If the music was to change, to be softened for greater public consumption, then the abrasive, admittedly limited, trumpet of Don had to go. Whether Don’s mental problems were caused by the change in Albert’s music, or whether they were merely exacerbated by his brother’s rejection of him, is open to speculation. Don played no part in the recording sessions for New Grass in August/September, 1968 and the last-known concert featuring the two brothers took place at New York’s Town Hall on 11th January, 1969. Two numbers from the concert, promoted under Don’s name, were included in the Holy Ghost box, and although poorly-recorded, they do give an idea of another path which Albert could have followed. Instead, despite the poor reception for New Grass, he continued with the new style (although dropping the overdubbed additions of a horn section and ‘The Soul Singers’) and the last LP released during his lifetime was Music Is The Healing Force Of The Universe, which included a duet with Henry Vestine, the guitarist with Canned Heat. In July 1970 Ayler made his final trip to Europe. He performed two concerts at the Fondation Maeght, with Mary Maria (vocals and soprano sax), Steve Tintweiss (bass) and Allen Blairman (drums). The pianist, Call Cobbs, also appeared on the second night. When he returned to America he discovered that his Impulse contract had been cancelled. On November 25, 1970, Albert Ayler’s body was found floating in the East River, at the foot of Congress Street Pier, in Brooklyn. Following his death, at the age of 34, there was the usual outpouring of conspiracy theories: that there was a bullet-hole in the back of his head; that he was tied to a jukebox; that the F.B.I. had killed him as part of their policy of assassinating all prominent Black figures; that the Black Power movement had killed him because he wouldn’t support the cause; that the Mafia had tied him to the jukebox because he refused to make any more rock`n`roll records for Impulse. But the simplest explanation is that it was suicide. Guilt over the treatment of his brother, and Don’s subsequent illness, the fact that his attempt to popularize his music had not only failed, but alienated the critics and fans who had supported him in the past, the cancellation of the Impulse contract, all could have combined to tip him over the edge. Albert Ayler was buried in Highland Park Cemetery, Beachwood, Cuyahoga County, Ohio on 4th December, 1970. The funeral was paid for by the US army (a benefit which every former serviceman is entitled to), and through some oversight, Albert Ayler’s gravestone implies that he died in Vietnam.